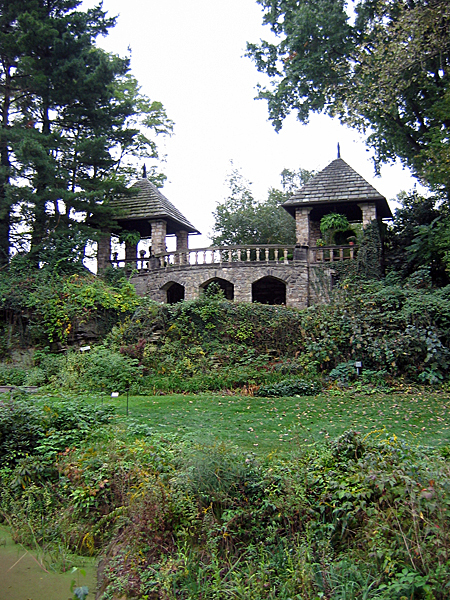 Developed between 1911 and 1916 by Warren H. Manning for Frank and Gertrude Penfield Seiberling of the Goodyear Tire fortune, the 3,000 acre estate was the result of a close collaboration between Manning and the Sieberlings resulting in a distinct American style reflecting an expansive Midwestern sense of place. 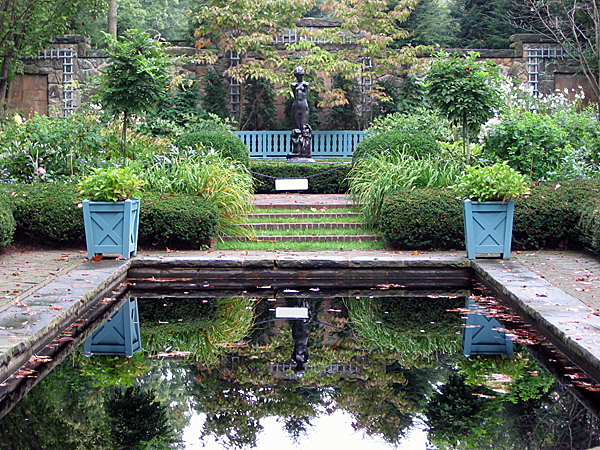 More a product of the Arts and Crafts aesthetic than Gilded Age estates, the landscape included a Great Lawn, defined by plantations of trees and shrubs and an orchard along its entry sequence; an Entrance Court; a rhododendron and Plane tree allée; a 440-foot Birch allée terminating in a dramatic vista; a terrace providing a geometric setting for the west mansion façade, complete with pool, balustrades, vistas, playing courts, perennial border, a lagoon, shaped from a abandoned quarry area; a rose garden, orchards, and vegetable and cutting gardens just northeast of the mansion. 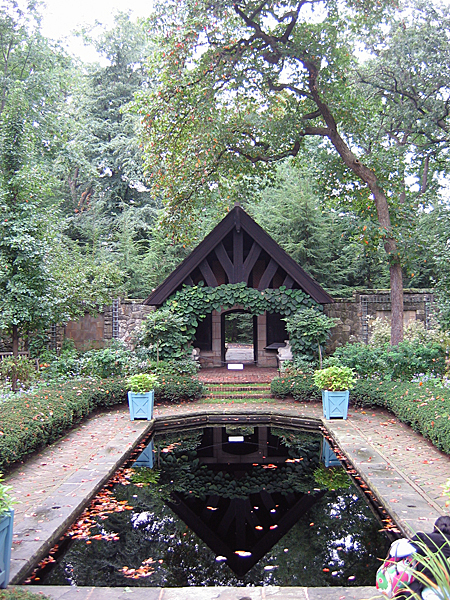 A Japanese Garden in the Yugen mode of tranquility was designed by T.R. 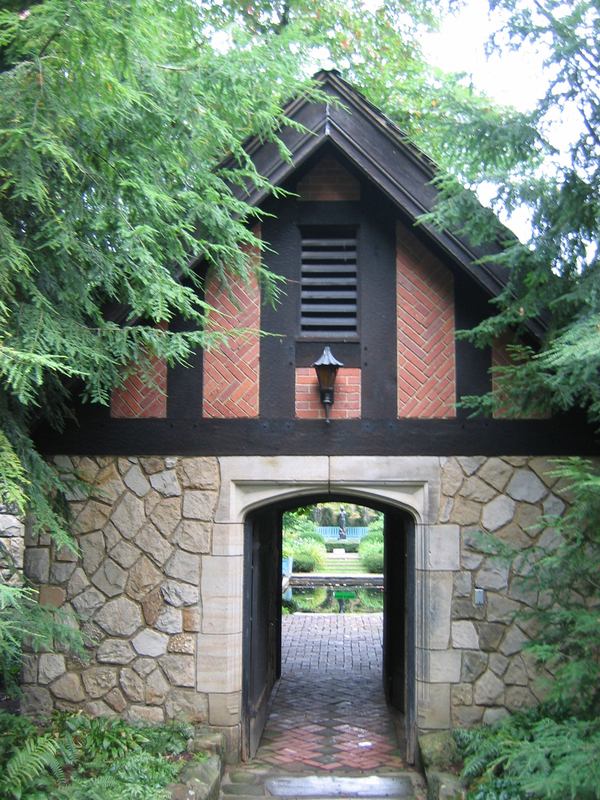 Otsuka. 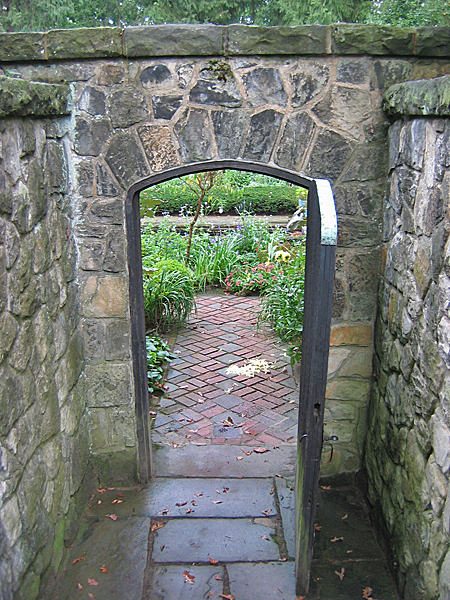 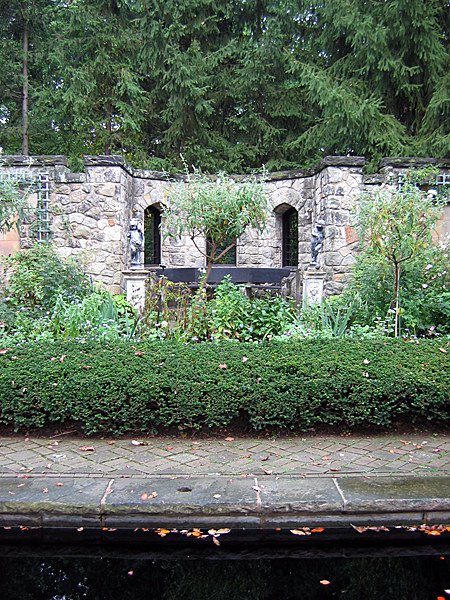 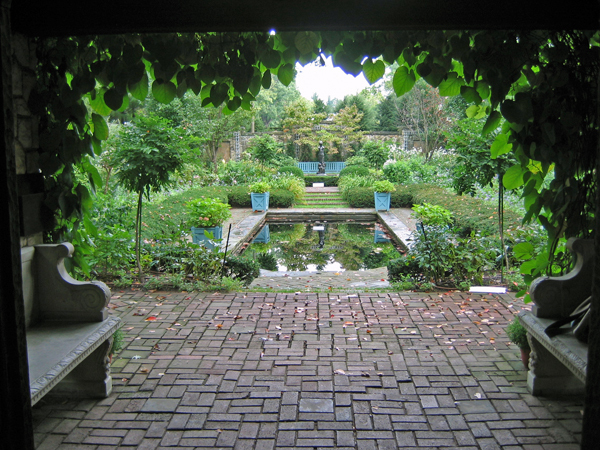 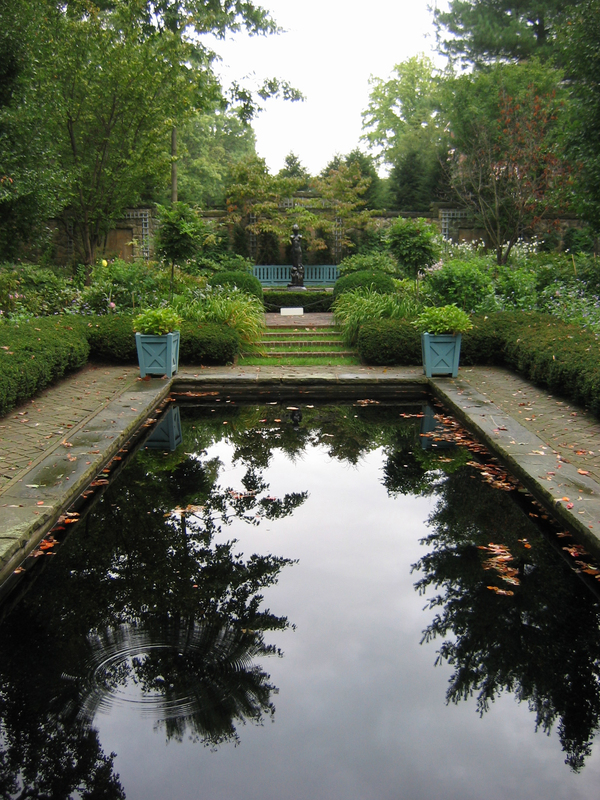 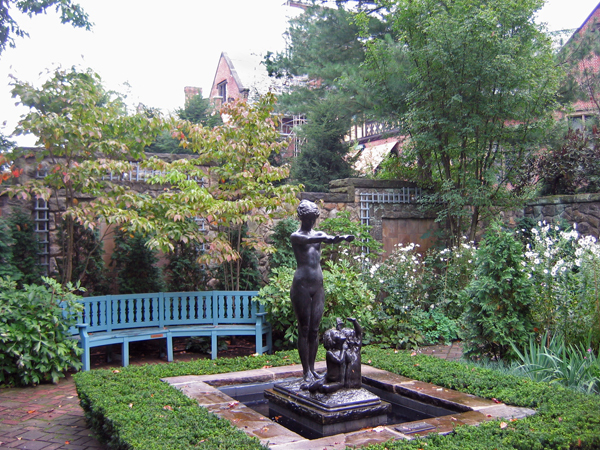 The sunken and walled English garden was later replanted following a design by Ellen Shipman. 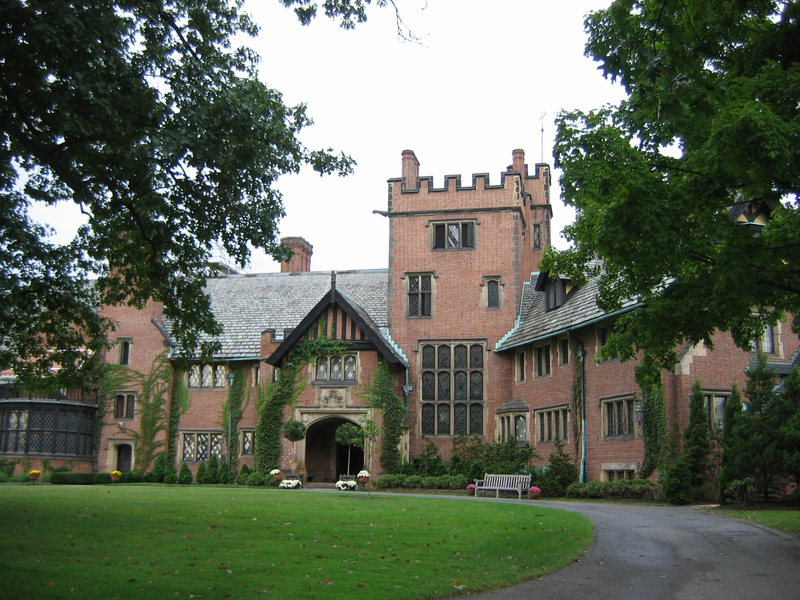 The Stan Hywet Hall Foundation was formed after Seiberling’s death in 1955. 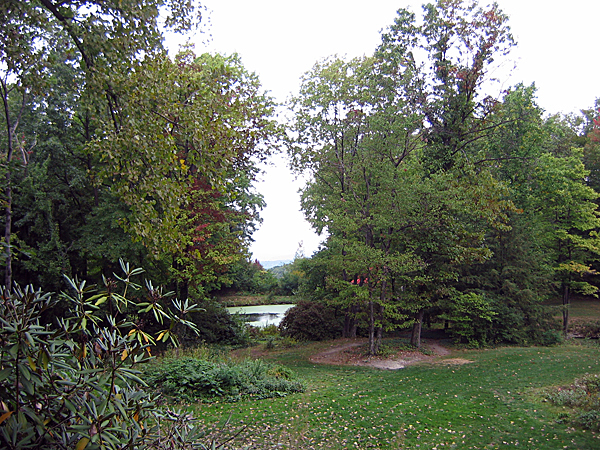 Today’s garden of seventy acres represents the historic core of the property. 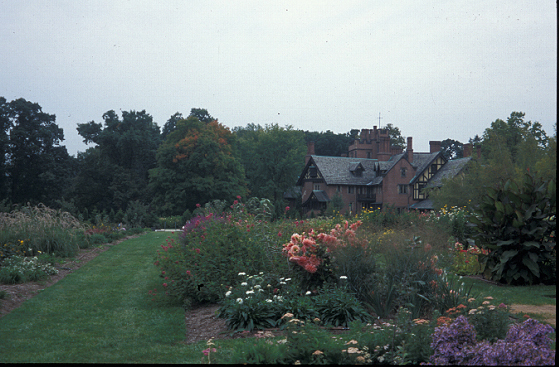 Stan Hywet Hall became a National Historic Landmark in 1981, and remains open to the public today.